If sweaty feet make you reluctant to remove your shoes in front of other people, it may be time to find a way to control the problem. While it’s not unusual to experience sweating feet occasionally, some people suffer from excessive sweating every day. The problem, known as hyperhidrosis, occurs when the sweat glands overreact to stimuli and produce more sweat than necessary. 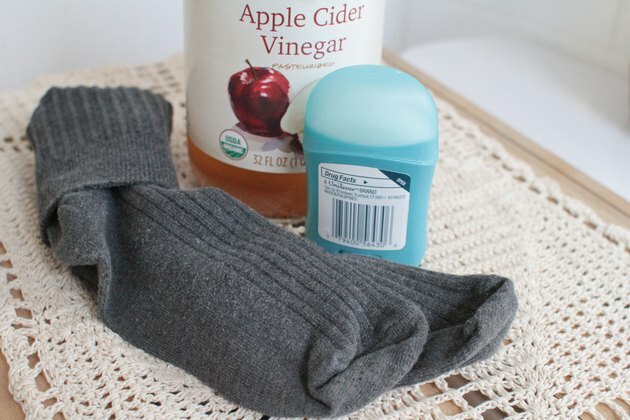 Whether you notice sweaty feet a few times a month or every day, home remedies are available to help reduce both sweating and foot odor. Wear cotton socks. You can also choose socks made of other natural fabrics or moisture-wicking material. Nylon and polyester trap sweat, while natural fibers are more porous and allow more air to reach your feet. Wash your feet every day. Use an antibacterial soap to keep odor at bay. Dry feet completely, making sure to dry the area between the toes. Fungi and bacteria can develop between the toes if the area is not dried completely. 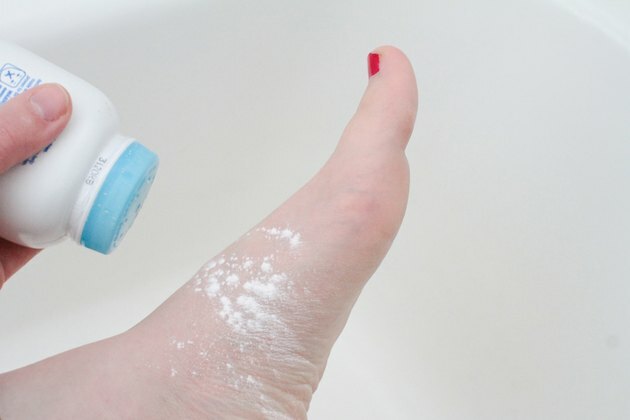 Put antiperspirant on your feet. 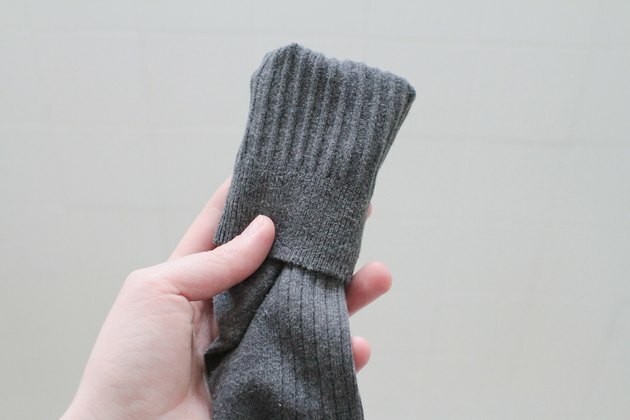 Do this before you put on your socks in the morning. Antiperspirants don’t just prevent underarm sweating but can also be effective in reducing foot perspiration. Dust your feet with foot powder. Follow the antiperspirant with foot powder, which absorbs excessive sweat and reduces odor. Change your socks. 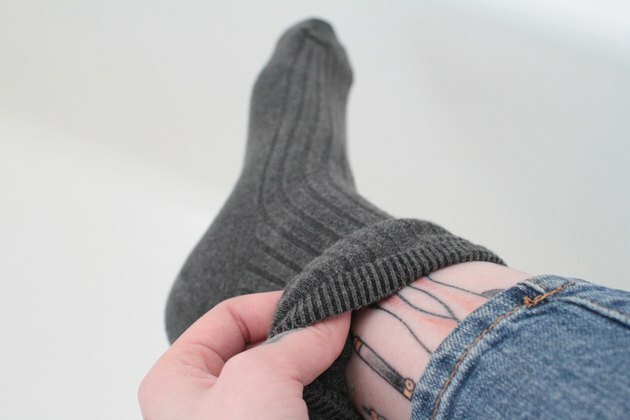 When your socks feel damp with sweat, wash your feet and put on a fresh pair of socks. Keep baby wipes with you and use them to clean your feet at work or while you are in public places and can’t wash your feet. Soak your feet. 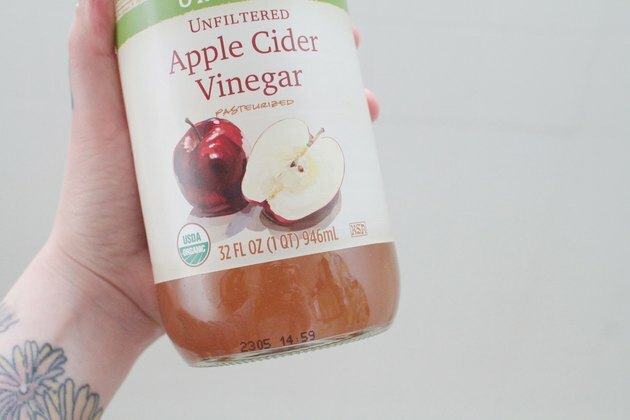 Add 1/2 cup of vinegar to 1 quart of water and soak your feet for 15 minutes to reduce perspiration. Go barefoot as much as possible to allow your feet to breathe, and wear sandals and open-toed shoes. Exposing your feet to the air will help reduce sweating. Don’t wear the same pair of shoes every day. Sweat can be trapped in the insoles of shoes. When you put on a pair of shoes before sweat has dried, it can worsen your problem.